During the ‘wet felting’ production process of a long felt ‘corridor’ rug. Wet felting is one of several methods which can produce felt from wool and other animal fibres. Warm soapy water will be applied to layers of animal hairs placed at 90 degree angles to one another. Repeated agitation and compression causes the fibres to hook together into a single piece of fabric. Wrapping the properly arranged fibre in a sturdy, textured material will speed up the felting process. 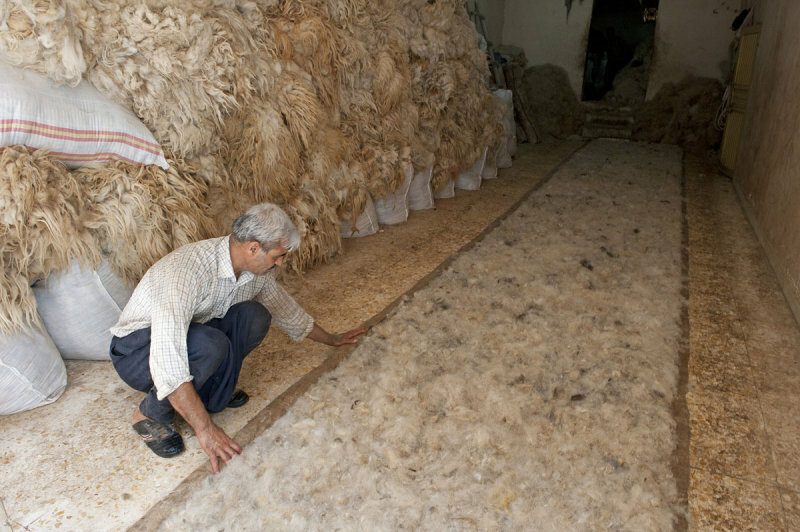 Source: Personal visit to the Birecik felt makers (1999) & Wikipedia.